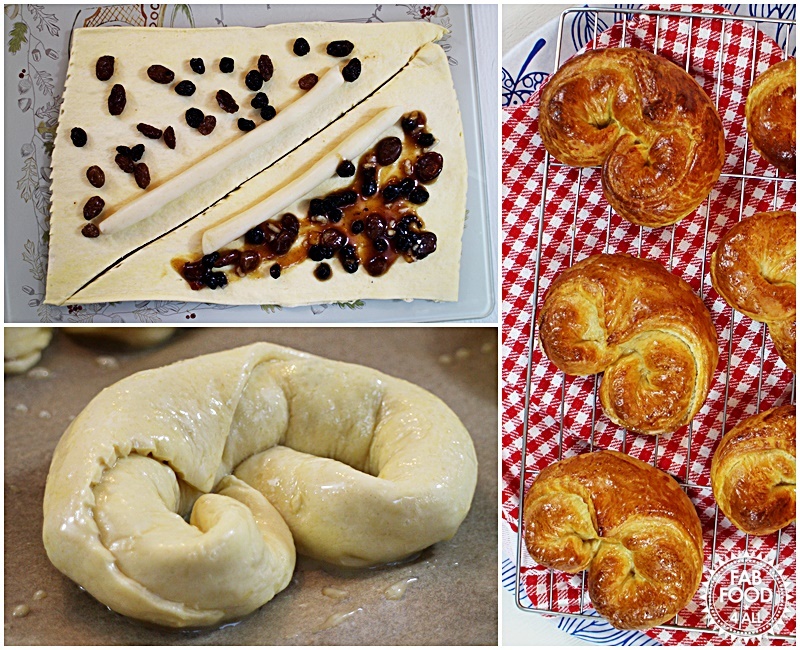 You are here: Home / General / Cheat’s Stollen Croissants 2 Ways – quick & delicious! 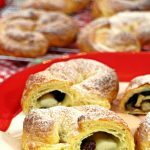 Cheat’s Stollen Croissants 2 Ways – quick & delicious! 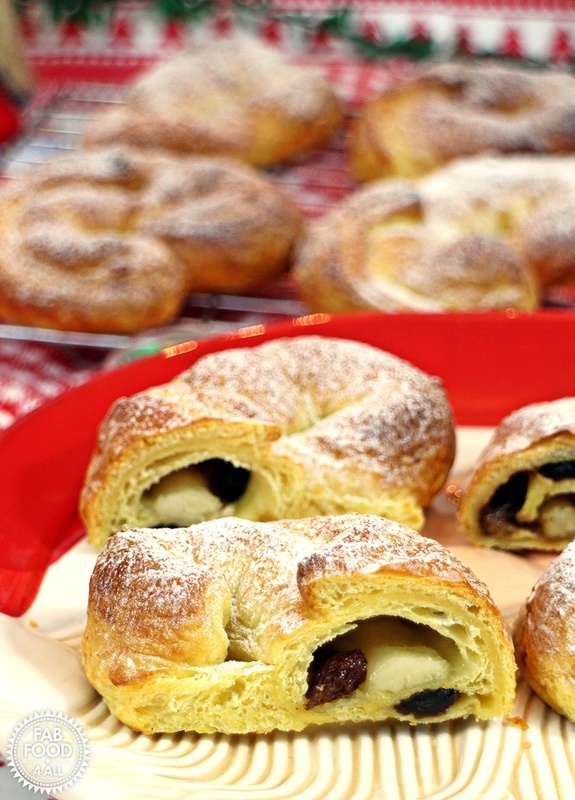 The idea for these Cheat’s Stollen Croissants came to me in flash of inspiration the other day. 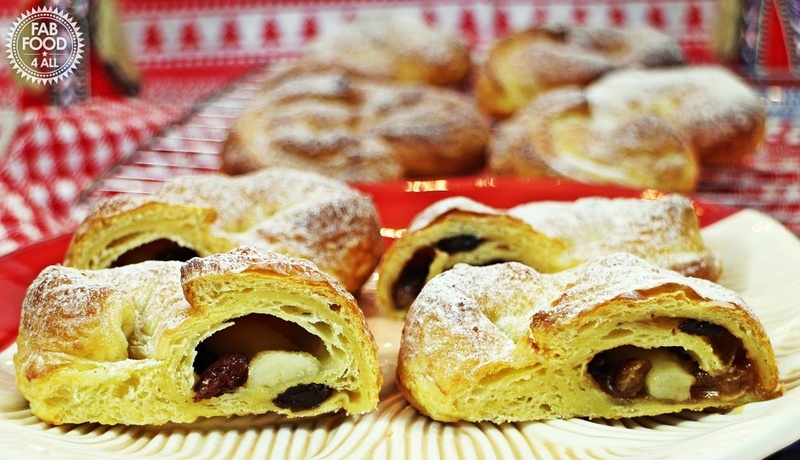 I love Stollen and I love croissants so why not combine the 2 flavours into one I thought! At this time of year there’s usually an ample supply of leftover dried fruits and mincemeat (you can use either) in our cupboards as well as marzipan so this is a delicious way of using them up. However these Cheat’s Stollen Croissants are so good that they are worth buying the ingredients for even if you don’t happen to have them to hand! When we think of Christmas there is a picture postcard image that springs to mind, you know “Chestnuts roasting by an open fire” etc but in reality it’s a really stressful time of year with busy mums dashing around trying to juggle all the extra jobs they find themselves having to do. I am so unprepared this year that the tree is still naked, I only just bought Christmas cards yesterday (forgot to buy the stamps), there are still presents to be bought and nothing is wrapped yet. By the time Christmas comes I’m usually ready for a nap! So this is why I think having a fabulous recipe like this is vital to have in your armoury. You can nip off to the kitchen and quickly prepare these for either a fabulous Christmas breakfast or have as part of an afternoon tea spread over the festive period. My family loved these Cheat’s Stollen Croissants, they really do taste like something you’d buy in a patisserie but at a fraction of the price! I’m going to rustle up some more on Christmas day for our evening buffet as I know they will go down well! Pictured is the dried fruit version on the left and he mincemeat version on the right – both tasted equally good! If you love Stollen and you love croissants then these Cheat's Stollen Croissants will really hit the mark.. 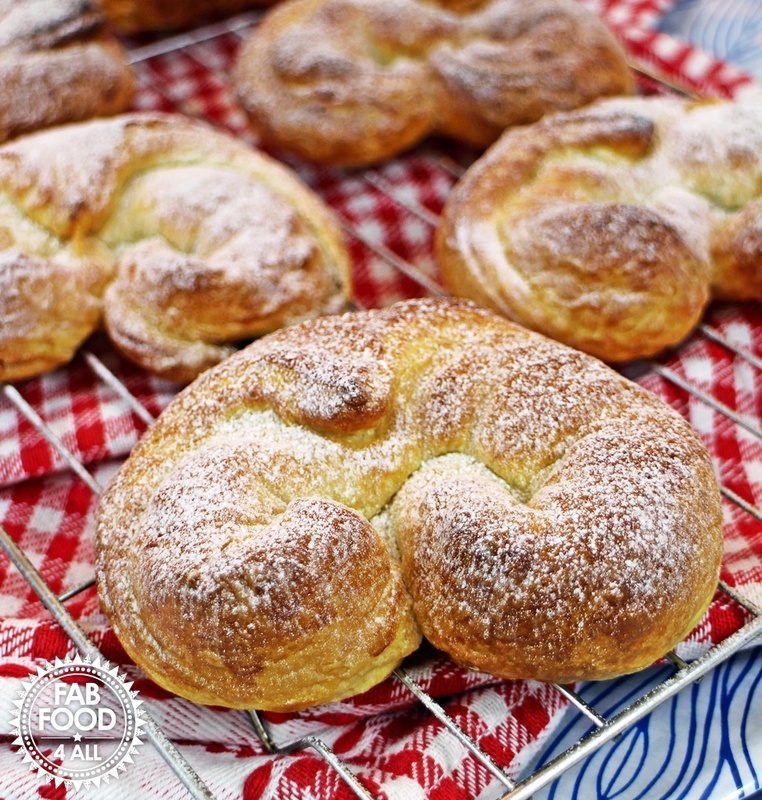 Perfect to rustle up at the last minute your guests will love these delicious croissants! Place a sheet of baking paper on a large baking tray. Unwrap and unroll the croissant dough and cut along the serrated lines. Cut the marzipan slices in half and roll out into long sausage shapes a few centimetres short or the longest side of the croissant dough. Lay the marzipan sausages along each outer edge of the dough triangles (about 1 cm in). Spread the soaked fruits or mince meat over the dough triangles avoiding the outer 1cm. Roll up the dough from the marzipan side, bend and tuck the ends of the dough under the middle of each croissant and place on baking tray. Brush each croissant with egg wash.
Place in the centre of the oven and bake for 13 - 15 minutes. Cool on a wire rack and then dust with icing sugar. Previous Post: « Cheat’s Mince Pies with a Secret Twist – amaze your friends! I love a nice easy recipe, especially round about Christmas, the busiest time of the year! These look so good and they will be on my list for this festive season. What a delicious idea! They look very pretty, too.